Our services include custom foot orthotics, custom shoes and off the shelf comfort shoes. We also supply many other durable medical equipment such as walkers, night splints, ankle braces, knee braces, non custom AFO devices and shoe modifications. Our pedorthic organization ethics strongly recommends that you have your foot orthotics fabricated by prescription only. A proper foot orthosis is the foundation to help relieve foot pain. Many modifications can be made to help the orthosis target the specific condition being treated. We have a one to two day turn around time on all custom foot orthotics. 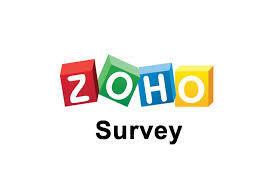 Most companies take one to two weeks. 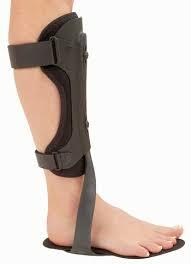 Ankle foot orthosis (AFO) devices are extremely helpful in cases such as foot drop due to stroke. AFO devices are useful with many other diagnoses as well. We also provide custom ankle gauntlet devices. 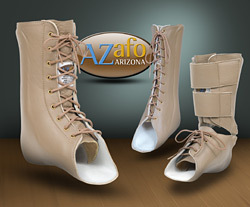 Custom ankle braces are used when more support is needed other than a custom foot orthosis. We provide custom foot orthotics for many different athletic programs in and around South Carolina. We are mainly called in for sports related injures such as plantar fasciitis, shin splints, turf toe and knee problems among many others. We also work with many high school athletic programs as well. 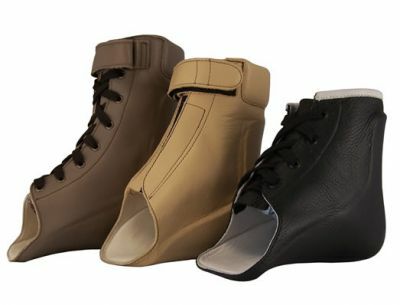 We also specialize in proper diabetic footwear. Proper footwear is essential to decrease high pressure areas of the diabetic foot. When the weight is distributed evenly, high pressure areas are avoided which decreases the chance of skin irritation.